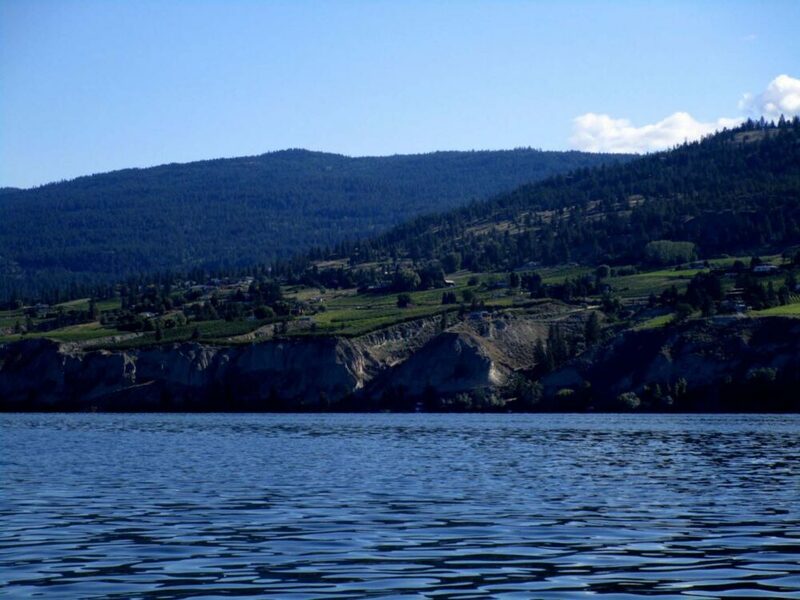 British Columbia’s Okanagan Lake is an impressive waterbody, being around 135km long. 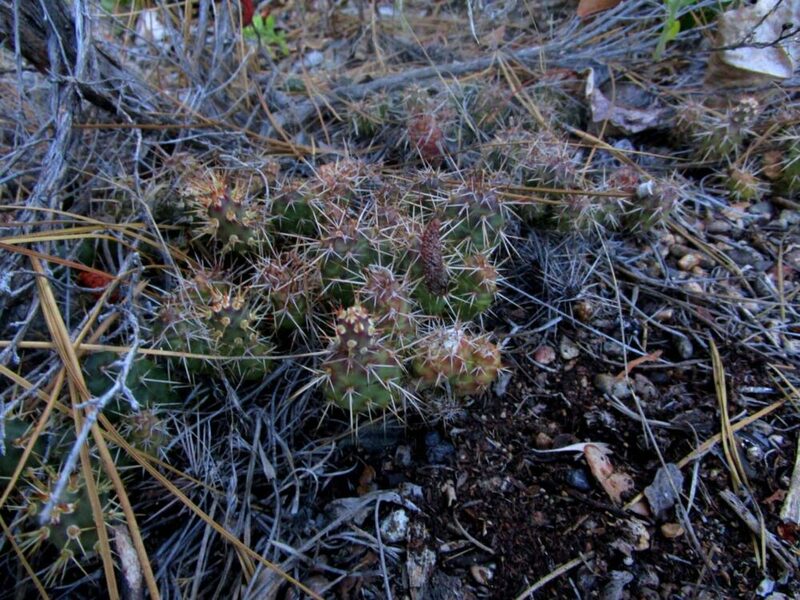 It’s the centerpeice of the beautiful Okanagan Valley in the interior of BC, Canada. 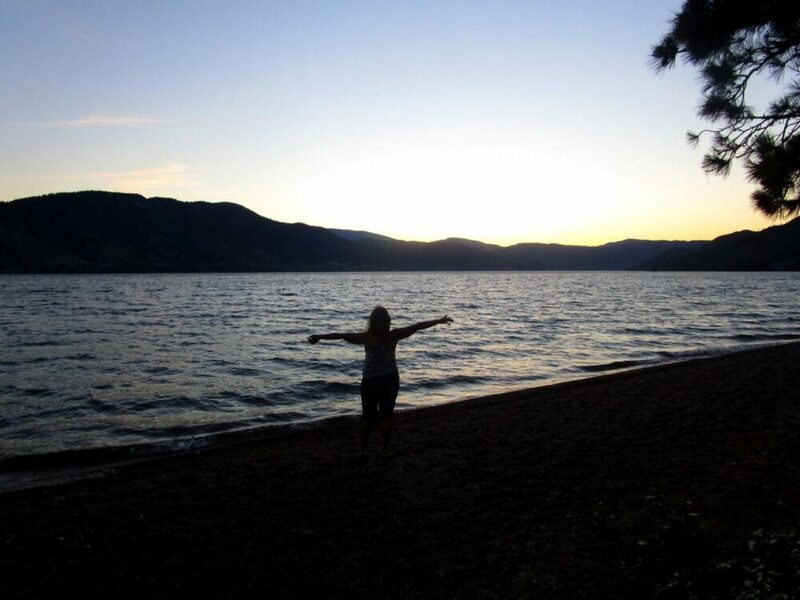 About two thirds of the way down the lake is the rugged and mountainous Okanagan Mountain Provincial Park. Magnificent when viewed from Highway 97 on the opposite shore, this Okanagan Mountain Park always held intrigue to us when visiting the area. 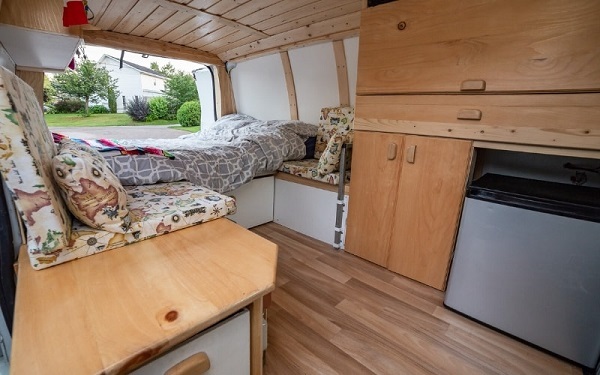 After moving to the Okanagan Valley a few years ago we decided it was about time we explored a little closer. 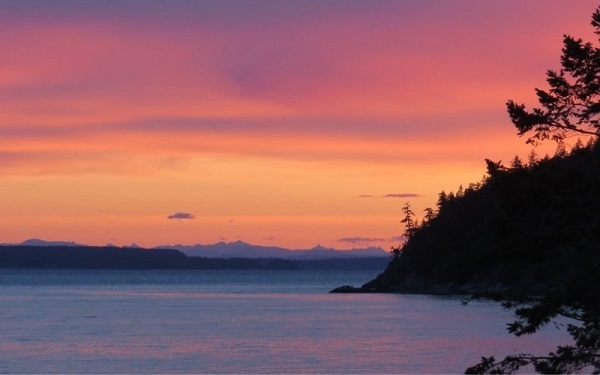 There are hiking opportunities in the park but the real attraction to us was the potential for a multi-day paddling trip, staying at one of the handful of marine campsites along the shore. 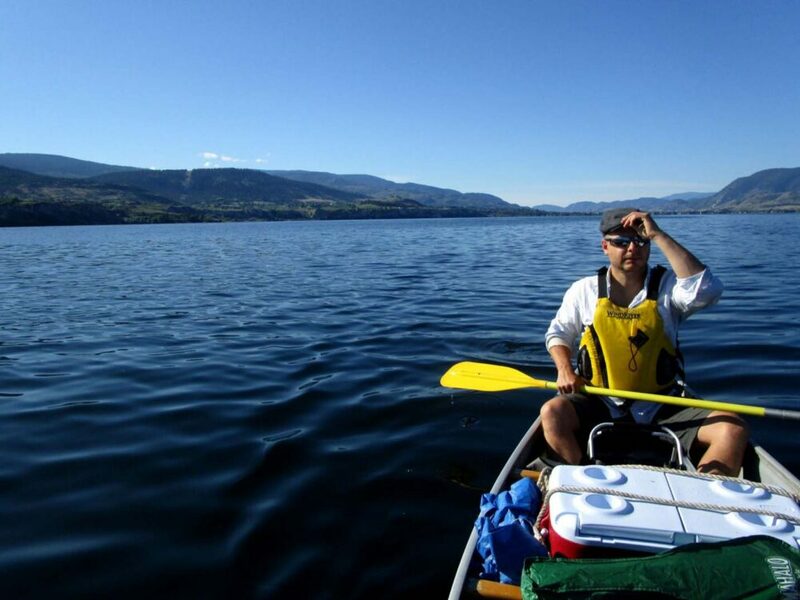 Read on for our experience plus a mini planning guide for your own Okanagan Mountain canoe trip. 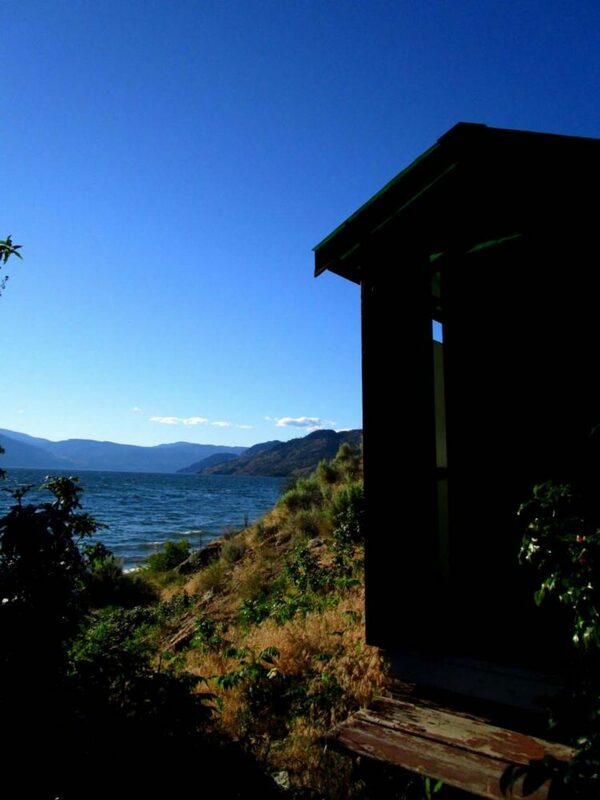 Being so enormous, Okanagan Lake is also subject to strong winds. These create large waves, which can be dangerous to small craft like canoes and kayaks. Sometimes even to boats. For that reason, we knew it was imperative to start early. 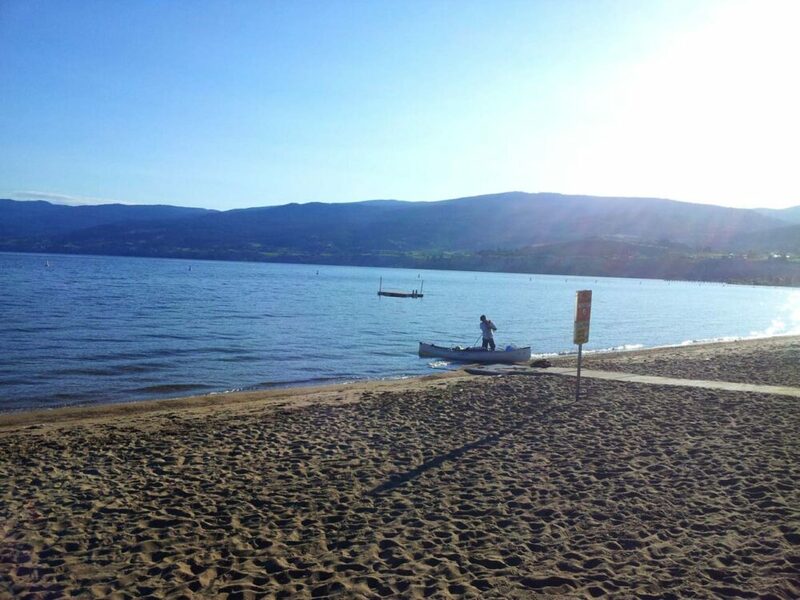 Waking up at 5.30am, we managed to launch around 7am from Okanagan Lake Beach. 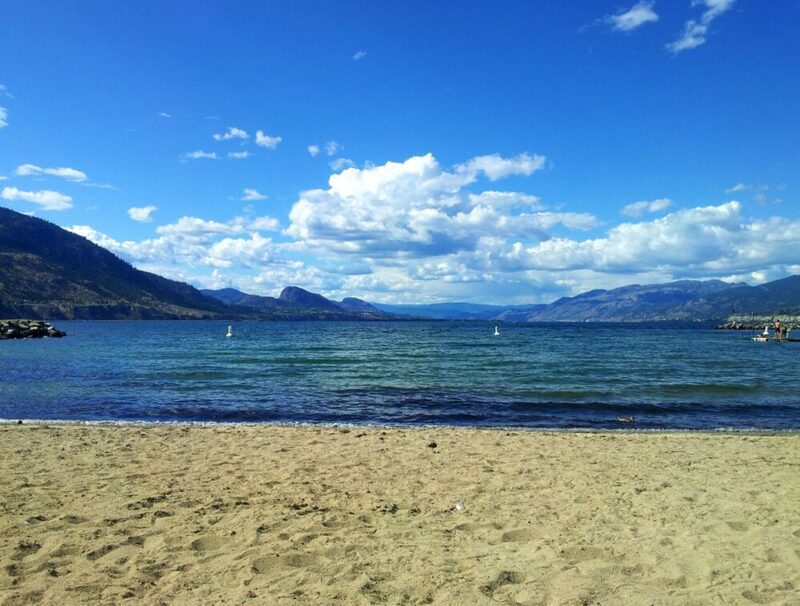 It was a beautiful day (as almost always during Penticton summers!) but there was already some small waves. Things calmed down the further we paddled, becoming very still around 8km in. Within only a few hours we had paddled past the 25 or so vineyards on the Naramata Bench and were approaching the Mountain Park. Everything was seemingly calm. Then disaster! Around 4km from the border of the park, we hit some serious waves. Being pretty loaded up with food and drinks (plus other luxuries such as chairs and a ukulele) for my birthday weekend, we pulled off to wait it out. Chilling out on a little peninsula for the next four hours was not so bad, but it was frustrating being so close to our destination and unable to reach it. The weather just seemed to be getting worse, with heavy clouds coming in from the north. Following food, a nap and lots of reading, we decided to just go for it. Despite the journey being a little scary at times (mostly for me, JR is very cool about this kind of thing), we finally made it to the first campsite in Okanagan Mountain Park at 5pm. Van Hyce beach wasn’t even technically our destination. 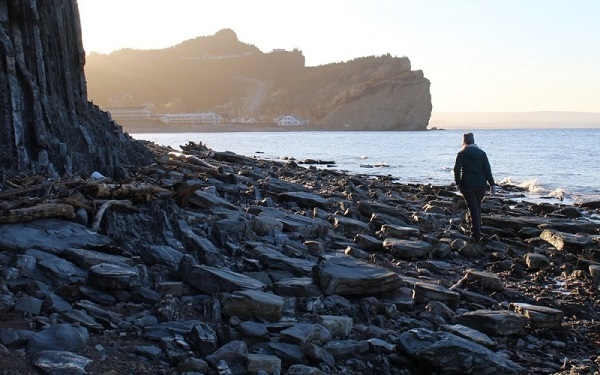 I had hoped to reach one of the other free marine campsites further along the coast, one of the handful that has trails into the interior of the park. While there was sadly no trail leading from our campsite, we did have a lovely beach and pretty awesome views in exchange. It was much better than being stuck on the peninsula we had just left! The wind was still blowing pretty hard when we got off the lake. Thinking that the hardest part of the trip was over, we set up our camping gear and got out the wine. The wind had other ideas. Within half an hour of landing, we had gales of what must have been 30-40km/h surrounding us. Our tarp went down, our tent threatened to fly away and my FULL wine glass fell over. It was a travesty! Wondering what the heck we had let ourselves in for, there was a lot of relief when things started to calm down a bit again. I let go of the tent, refilled my glass and used the picnic bench as a windbreaker. We went to bed in the wind and woke up in the wind…I don’t think I’ve ever been so windswept in my life! It was a different sort of birthday, but still full of wine, sunbathing, swimming (FREEZING!) and exploring! Oh, and windbreaker creation. Turns out that the canoe is pretty good for that, in combination with a tarp. There was also plenty of phone signal, which felt very strange for us! We’re usually always off the grid for our birthday camping trips. In the 38 hours we were at Van Hyce, three or four boats passed us. For Okanagan Lake, that is very unusual. It’s an extremely busy lake for day tourists. That’s how we knew the winds must have been bad. When the gales were at their highest, we actually saw a 30 foot sailboat almost capsize. It was a good thing for us though (the lack of boats, not the sailboat incident!) since fewer vessels on the water meant less wake to deal with. Despite having a great time on my birthday, we were a little nervous about paddling back. Again, we tried the early morning paddling thing again. The waves were still reasonably big, but the wind was, at least, on our side this time. 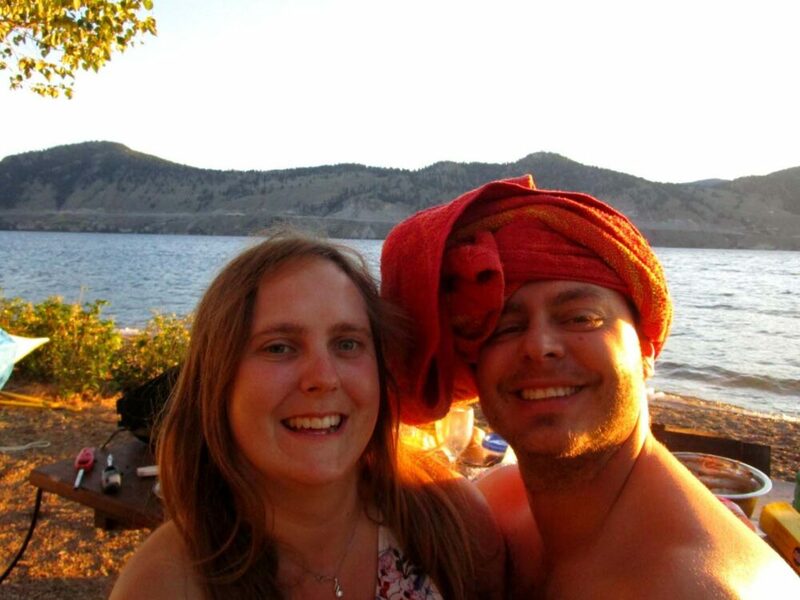 It took around four hours to paddle the 25km back to Penticton (compared to 5 on the way up, against the wind). 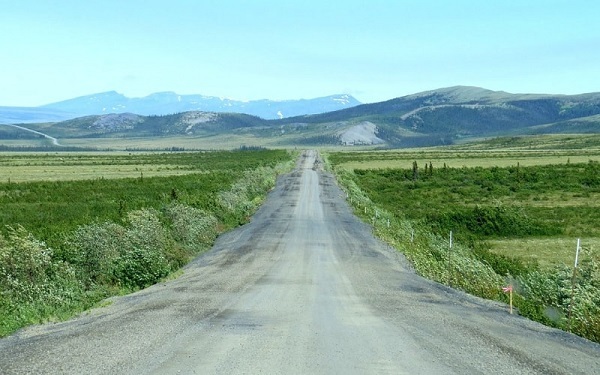 The last few kilometres were the worst, since the waves were pushing us further east than we needed to go. It was quite satisfying to land on the beach, portage the 600m home and be done by 2pm. A good, but challenging-at-times trip! 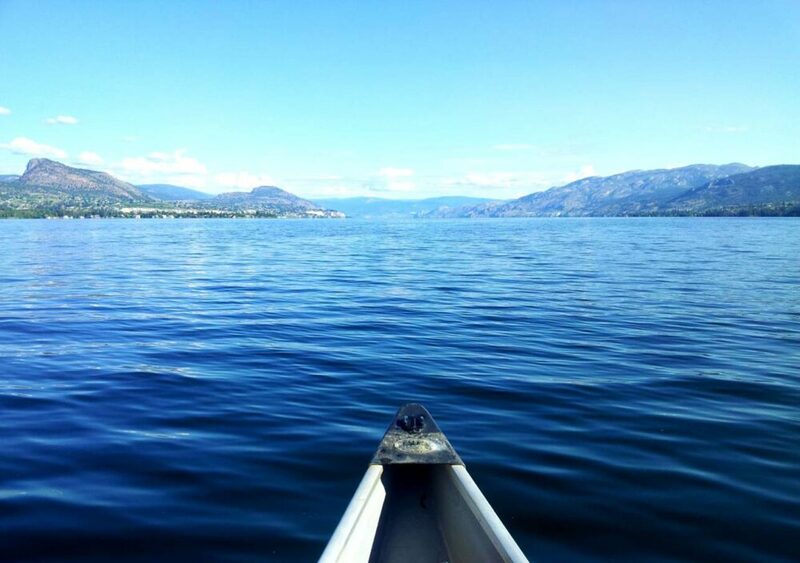 Okanagan Mountain has great potential for paddlers looking for a convenient overnight trip. 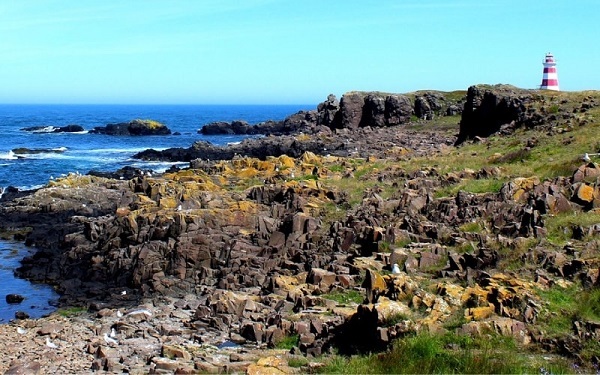 The campsites are well located and provide good facilities. 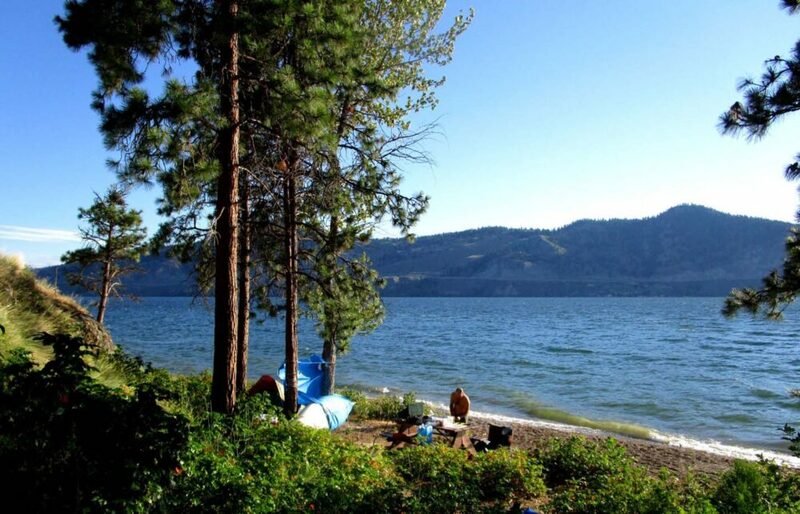 Okanagan Mountain Park has seven marine campgrounds – Buchan Bay, Commando Bay, Goode’s Creek, Van Hyce Beach, Reluctant Dragon Cove, Halfway Bay and Halfway Point. 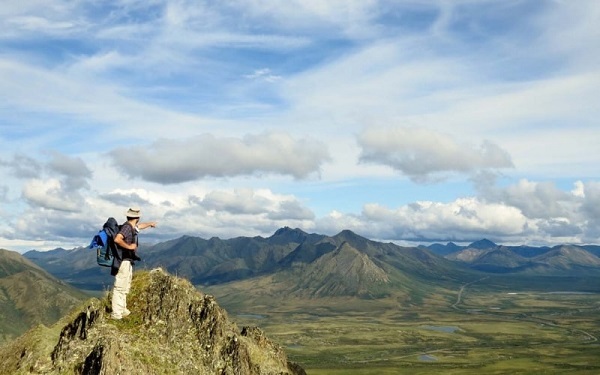 The backcountry marine camping fee is $13/night per group, however, there are no self registration points at any of the campsites we have been to. 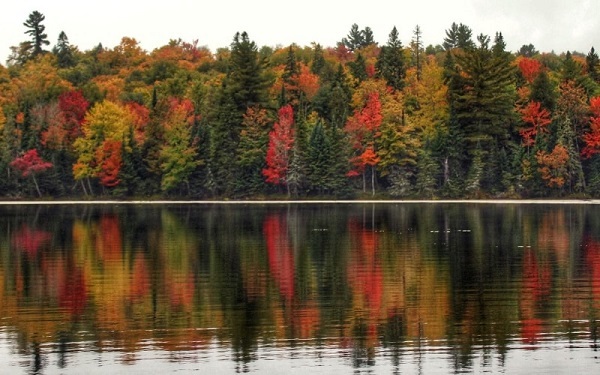 It is possible to launch at numerous locations around the lake. 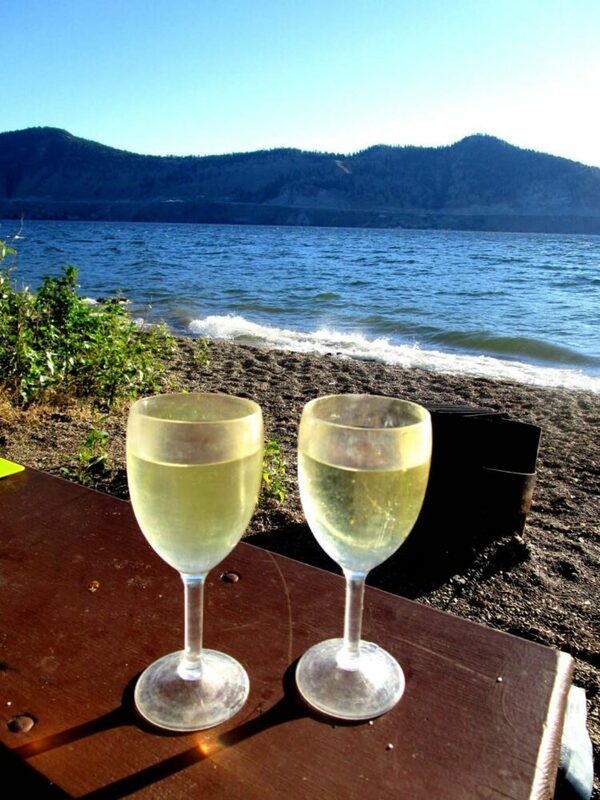 The most convenient place we’ve found is the boat launch is at Indian Rock Beach Access on Somerset Lane, north of Naramata. 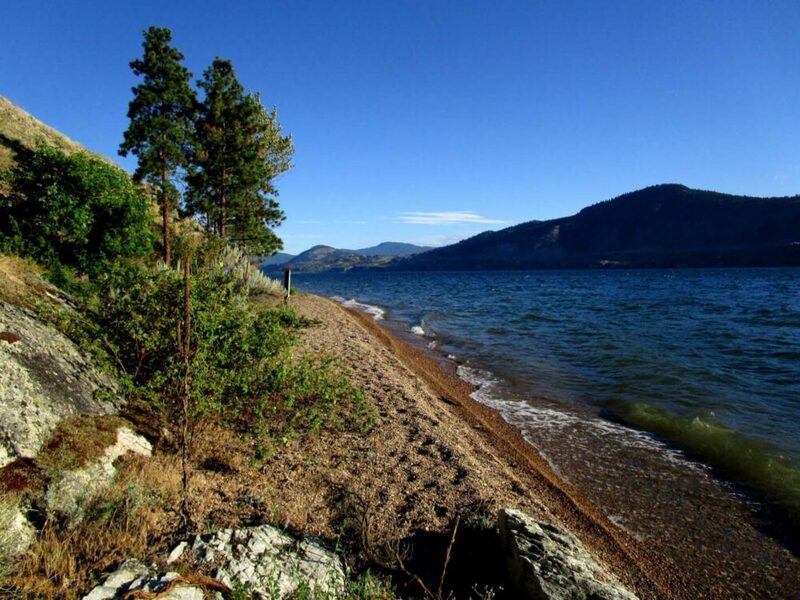 Other options include the beaches in Peachland and Summerland. Great photos. My wife’s family live in that area and we are thinking of relocating back to Canada. Have enjoyed the Penticton tubing experience. Is Elvis still a fixture at the halfway point? Elvis is indeed still there at the halfway point! We went tubing down the channel last week for the first time and are going again today with friends who are visiting. Where are you thinking of relocating to?